Butterfly – the symbol of the soul, life, joy and hope. I have captured this yellow butterfly in the Pradyuman Park, Rajkot. If we talk about their species, There are total 18,500 different species of it available in the worldwide. In different countries and cultures, there are several myths about this insect. Today, I am sharing such interesting collected and gathered myths about it. In Asia, The Butterflies symbolize for Longevity and Love. Christian tradition views the butterfly as a symbol of resurrection. According to Native American Indian legends, Butterflies would carry the wishes to the Great Spirit in heaven to be granted. In Japan, Butterflies represents both hopeful maidens and marital bliss. According to the Greeks, New human soul was born each time an adult butterfly emerged from its cocoon. In the U.S., Releasing butterflies at the end of a wedding ceremony is symbolic of love and of a promising marriage. 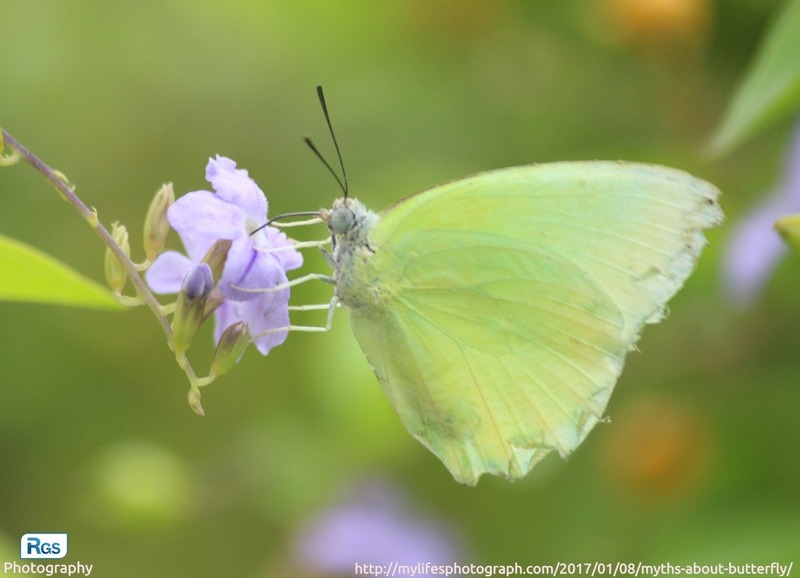 If you are interested to know more about it, Visit these links which I referred: Myths about Butterflies by journeyofhearts.org and Butterflies: Symbols of Life and Hope by Denise Handlon at owlcation.com. Thanks sirji.. It’s my pleasure. It’s a male lemon emigrant butterfly . These are common in Asia and Australia . Thanks for sharing your kind information with us and thanks to all for your love. This is really great! I love the way you play with the words while offering facts . Really neat! Thanks Alisha.. Without your vision it is nothing. Again thanks for reading and writing to us. We need friends like you.. Have a nice day.. Thanks for reading and writing to post.. your review ​matter for me.. Very beautiful and information makes it matchless!